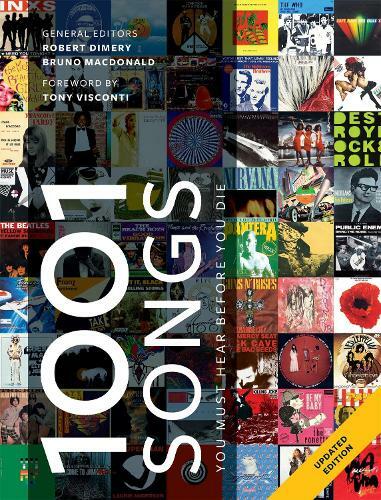 From 'Eight Miles High' to 'Empire State of Mind', from Mississippi to Mali and from Ella Fitzgerald to Elton John, 1001 Songs You Must Hear Before You Die picks through nearly a century of music to bring you an inspiring selection of some of the greatest recordings ever made. Each entry in this wonderfully browsable book tells the story of a great song. Find out what inspired the songwriter, what makes the track so enduring, which songs it influenced in turn and which cover version to listen out for. You will also pick up a wealth of fascinating trivia along the way. What links Lead Belly, Lonnie Donegan and 'Black Betty'? Whose gravestone inspired Phil Spector's first hit? And for which song did Johnny Rotten replace the singer from Def Leppard? Read on and find out. Love your music? Then you need 1001 Songs You Must Hear Before You Die in your life.